Historically, a large amount of operating time of a tractor trailer engine was idling. This could be 45% or more, where the driver is sleeping, eating, working or relaxing in his or her vehicle when they are not driving. Select an Idle Reduction technology here to learn more about whether it is right for your fleet. Each year in the United States sleeper tractors burn approximately 3 billion gallons of diesel fuel (8% of total fuel) while idling. This is costly, noisy, dirty and not efficient. 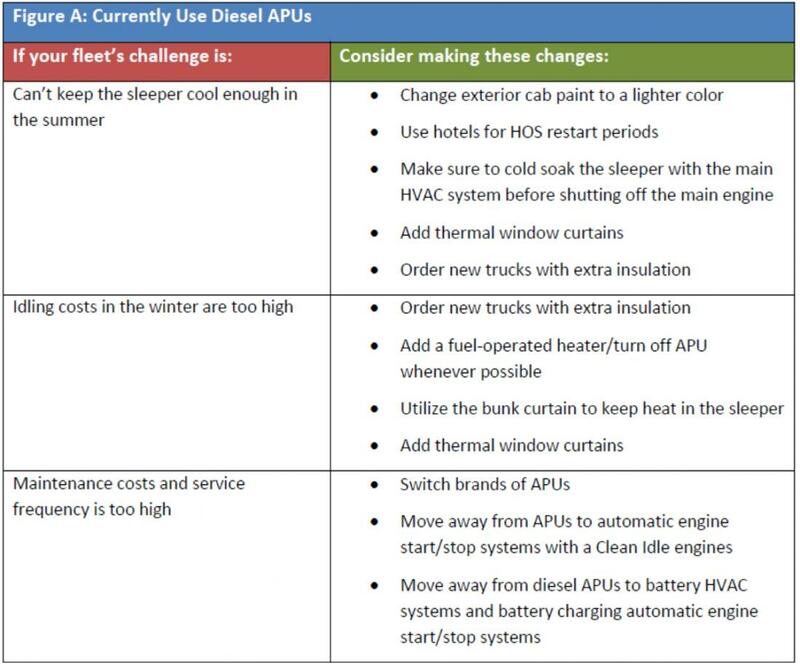 A plethora of idle-reduction solutions have emerged including on board diesel and battery units, truck stop electrification, engine start stop, diesel heaters and driver training and incentives to drastically lower idling. Each, along with other complementary actions, have their pros and cons with respect to emissions, upfront cost, maintenance costs, infrastructure, etc. 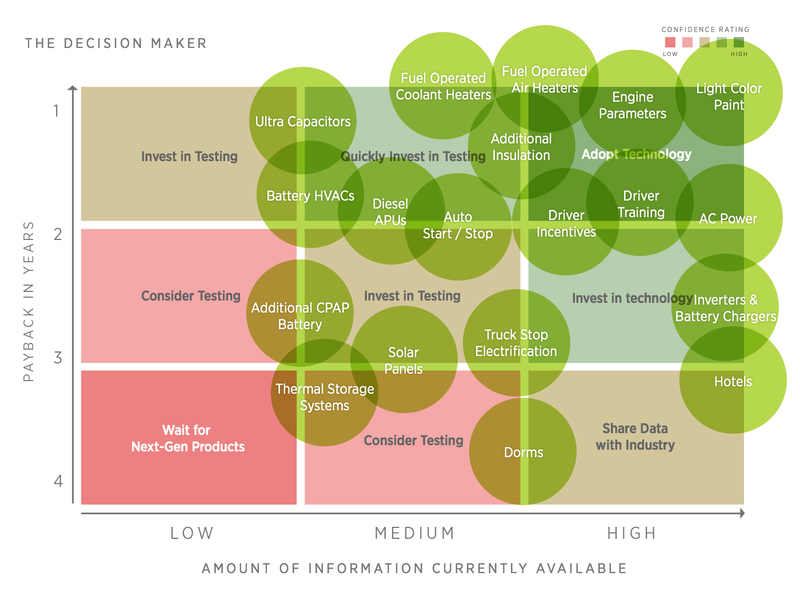 Our team produced two top-line tools for Idle Reduction: an "If-Then" flow document to identify solutions, and a decision-making chart showing the feasibility of each technology.